No, I hadn’t heard of Jeff Siegel, either, but the American drummer leads a storming band. This live album was recorded on the last date of a European tour, so the quartet was well primed. Alas the gig was in London on the night of a tube strike, so the audience was small, although, as often happens in the face of mutual adversity, band and listeners sound like they bonded all the more strongly. 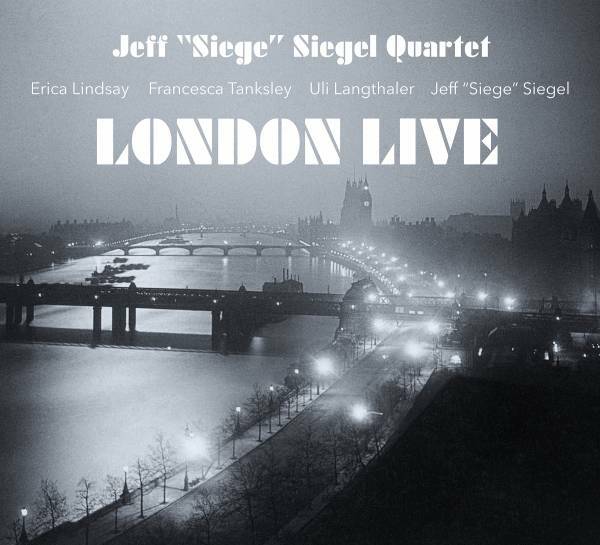 With Siegel are tenor saxophonist Erica Lindsay, pianist Francesca Tanksley and bassist Uli Langthaler, and the collective language, in terms of compositions, improvisation and even saxophone sound, is often overtly post-Coltrane to a degree that would usually drive me to distraction. The energy that this quartet generates, however, sweeps away such thoughts on a tide of sheer elation. Aside from the originals (by Siegel, Lindsay and Tanksley) they cover Coltrane’s majestic Peace on Earth, and then the excitement reaches its apotheosis on the traditional spiritual I Want Jesus to Walk With Me, which rides on a rolling groove as unstoppable as a mid-ocean swell, atop which both Tanksley and Lindsay build solos in which the rapture is underpinned by deeper truths.